St Petersburg apartment Isaakievskaya sq. Saint Petersburg Apartments > St. Petersburg apartments > Standard apartments > Isaakievskaya sq. The apartment is located on Isaakievskaya square. 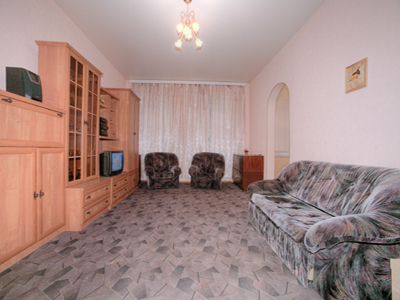 euro-standard double bed in the bedroom and double sofa in the living room. It's situated 7-10 min. walk from the Hermitage, 3-4 min walk from Saint-Isaac Square with the famous St-Isaac Cathedral. There you can find a lot of shops, cafes, restaurants, such as “Vienna” and “From dusk till dawn”, “Maximus” nightclubs.